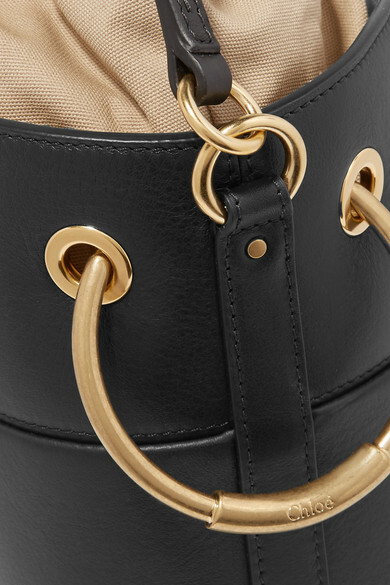 For years, the words 'Chloé' and 'cult bag' have gone hand-in-hand, and Creative Director Natacha Ramsay-Levi has cemented that reputation. 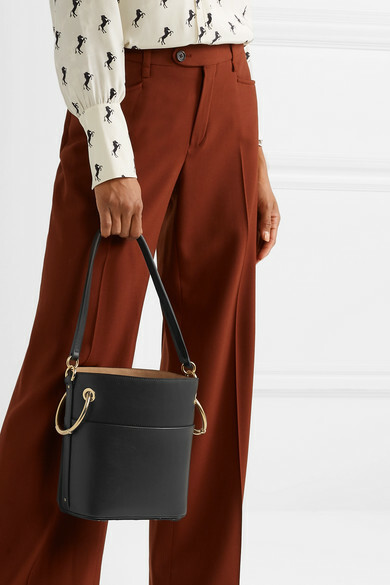 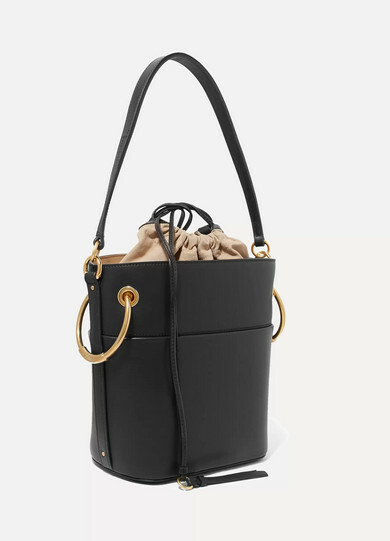 Part of the house's coveted 'Roy' line, this smooth leather bucket bag fastens securely with a drawstring top and is embellished with the signature jewelry-inspired hardware. 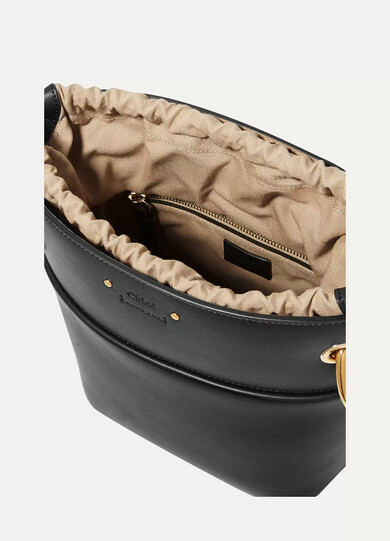 The additional longer strap is made from cream canvas. 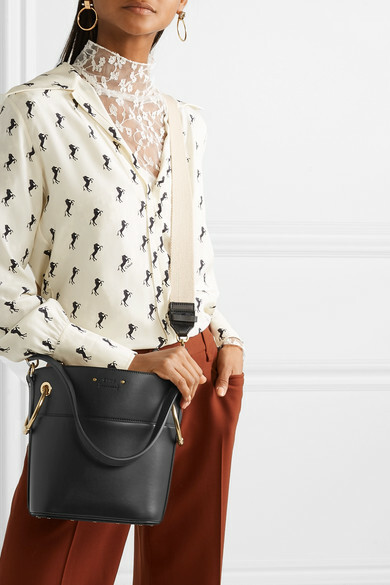 Shown here with: Chloé Blouse, Chloé Blouse, Chloé Pants, Chloé Ankle boots.